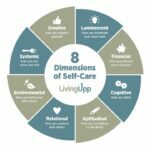 Learn how to design a self-care plan and incorporate fun self-care activities into your daily practice. Is Your Self-Care Practice 8-Dimensional? Who’s Directing Your Healthcare Experience?